Picture perfect 4 bdrm offers a great layout w/huge windows, sunny & open floor plan. 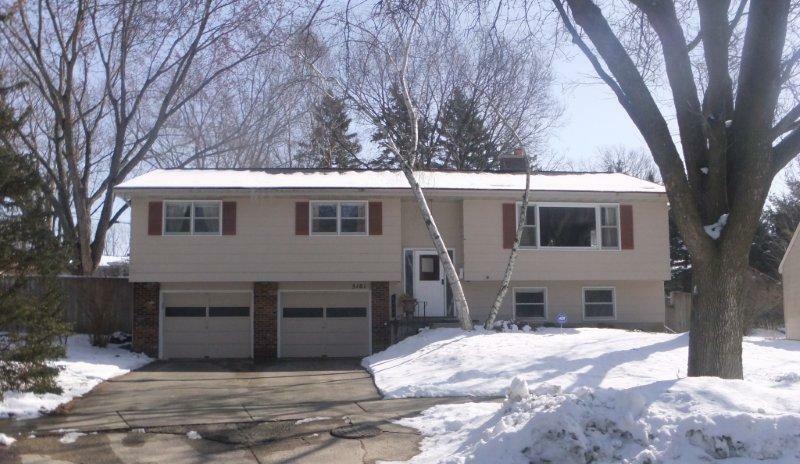 Home sits high on the lot of cul de sac giving great views, huge fenced, private backyard. Large kitchen, tons of storage, new flooring, stainless steel appliances, formal dining rm. All four bedrms on main flr, new bathrm vanity, great closets, master has 1/2 bath, new carpet & dishwasher! Lower level rec rm w/wood burning fireplace & instant theater: surround sound & projector included! One yr warranty included. Move in! 4 BR, 1.5 BA, 1444 Sq. Ft.
Hardwood floors in bedrooms, not in living rm or hallway. This home is a short commute to downtown Madison, or to the Westside/Middleton, and minutes from the beltline. The Meadowood neighborhood features community events which include 4th of July Parade & Picnic, Bingo Party, Neighborhood Garage Sale, Santa Visits, and a Vitense Golf Outing. In 2008 Meadowood Community Garden was established with 28 plots and regular youth programs.